In Spring of 2018, the band drove south to Los Angeles to work with envelope-pushing producer Rich Costey (MUSE, Death Cab for Cutie) for an exercise in grand experimentation. Inspired in equal parts by the Breeders, Rage Against The Machine, and De La Soul, the sonic diversity of the album is indicative of a generation reared on streaming services. SWMRS make music the way they consume it, flitting easily from poprock to breakbeat-infused rock to emo punk, and jangly power pop. 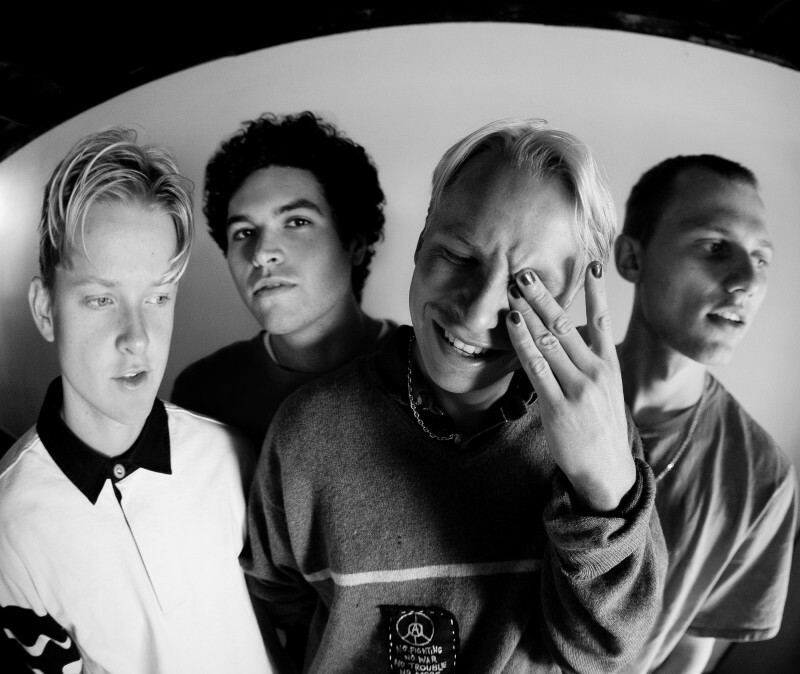 Hyper-aware of the platform they have, SWMRS make music that documents their own feelings as well as the fears and hopes of their generation. Using their shows to empower their fans to love themselves and protect their peers, the band strives to contribute everything they can to the new progressive world emerging from the ashes of the old one. Berkeley’s On Fire follows the band’s debut 2016 Drive North, which they self-released via their own Uncool Records before signing with Fueled By Ramen after a slew of critical praise (Rolling Stone, Noisey, Nylon, Billboard) and international headline tours.